Gale, this is so pretty! Love all the different DP you used - so fun and cute. 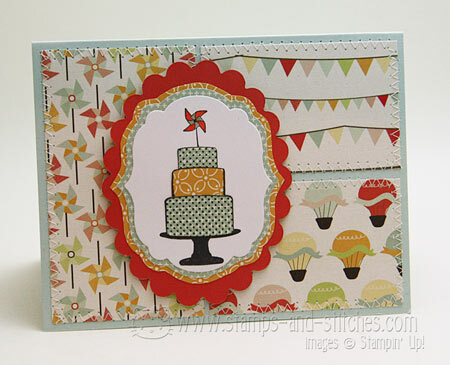 The paper pieced cake is fabulous!!! Yummy looking! Really cute! Paper piecing is one of my fave techniques! And love those papers too! This is a perfect stamp for paper piecing. Great card. Really great colour's fab card! I LOVE your cake!! I never have gotten the jist of paper piecing, this looks fantastic! This card is just the cutest. Your paper piecing is so cool.